Afsaneh Dehrouyeh was born and raised in Gloucestershire, England to Iranian parents. She grew up performing at the Playhouse Theatre in her hometown of Cheltenham and knew she needed acting to be more than a hobby from the age of 11. After graduating from Goldsmiths University in London, she trained at the International School of Screen Acting in 3 Mills studios, London and graduated in 2015 with a screening at BAFTA. She is frequently cast as strong women in film and television. 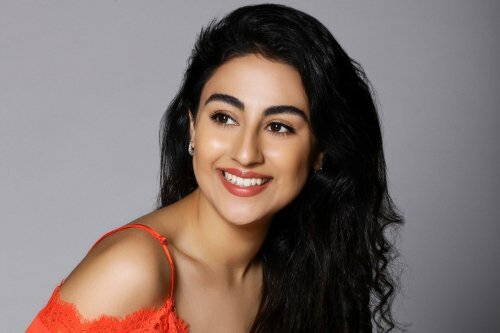 She played young and fearless activist Khadija in the award winning Freesia, Britain’s first film to address Islamophobia and is best known for playing the key role of Mahdiya Kattan in Season 3 of Fox 21’s Tyrant, from Homeland creator Gideon Raff. Afsaneh also plays the lead role in Pegah and Capture, which are set to succeed in 2017’s film festival circuit. Afsaneh is also a writer and producer who co-founded the production company Scadoo Pictures. Their debut short film Only Human will be released in early 2017.